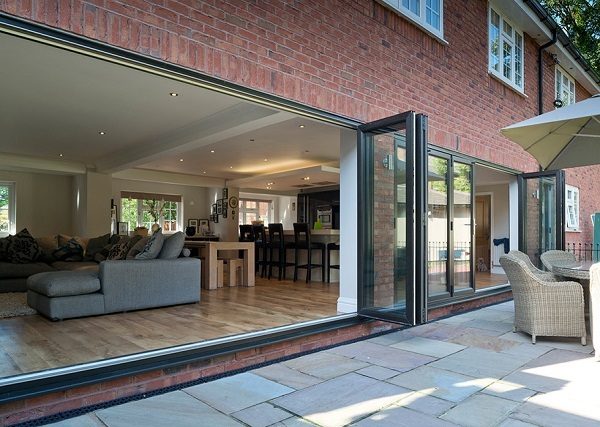 Aluminium bi-fold doors are the must-have home improvements of the 21st century. These spectacular sliding doors will transform the way you experience your home, opening it up to new opportunities and lifestyles. Our cutting edge aluminium bi-folding doors feature the very latest in technology and innovation too, giving you a superior entrance to your outside space. These incredible double glazed doors will enhance your home in so many ways. Create a seamless link between your property and garden, giving you a spectacular space in which to entertain and socialise. Our premium aluminium bi-fold doors are the perfect option any home in Godstone, Crawley, Horsham, Guildford, South Croydon, Tunbridge Wells, Tonbridge, Leatherhead, Sevenoaks, Epsom, Maidstone and surrounding Surrey towns. Aluminium bi-fold doors are truly a lifestyle choice for your home improvements. They offer a spectacular wall of glass which can be gently drawn back to create a vast united space, joining up your property and garden. These doors are ideal for contemporary living, enabling you to socialise with friends and family, or relax in a tranquil space after a long day. 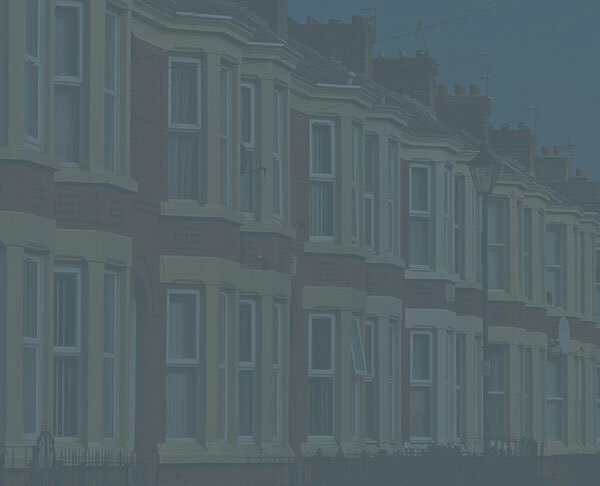 They are sure to be a worthwhile addition to your property, offering satisfaction across the board. Our bi-folding doors are a practical choice too. The precision engineered glide system ensures effortless operation, and is designed to last for many years to come. This is coupled with a vast choice of customisable features too. You can create the ideal doors for your living space and your needs. Simply choose the opening point, to the left, to the right, or somewhere in between, to create an effective entrance, and then choose the size and panel options. Bifold doors glide easily and silently and offer fantastic thermal benefits. It is no wonder that these premium doors surpass all current and future building regulations, including for ease of use, safety and energy efficiency. Put simply, the beauty of aluminium bifold doors is that they can hold larger panes of glass, and offer slimmer sightlines. This is great for anyone that wants to achieve a “grand-design” type home improvement, or any home that wants to benefit from rooms that feel lighter and more spacious. Whether you choose aluminium bi-folding doors from our Schuco collection, our Kawneer collection of from any of the other options we offer to our customers, you can count on expert design, function and style. 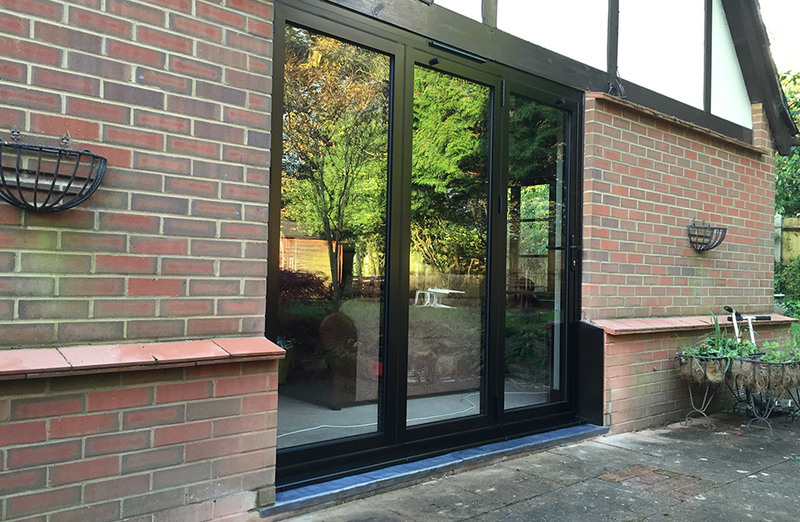 Our aluminium bi-fold doors offer your Surrey home a great thermal barrier. The extensive, high performance glazing coupled with cutting edge thermally broken profiles ensures maximum protection from the cold. Heat is easily retained within your property too, so no matter how cold it gets in the winter, you will be cosy and comfortable, with aluminium bi-fold doors from Team Frames. In fact, our sliding doors are so efficient, they even achieve and can exceed the stringent standards set by Building Regulations for thermal performance. You can count on the quality and protection our doors offer against the elements. 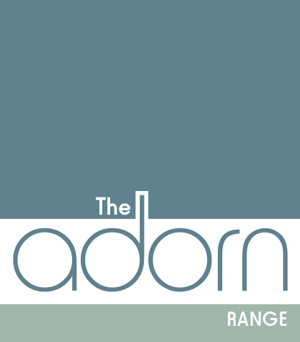 Why choose bifold doors from The Adorn Range? Keeping your home secure is an essential task of any entrance, and with aluminium bi-fold doors, you can count on the best protection possible. 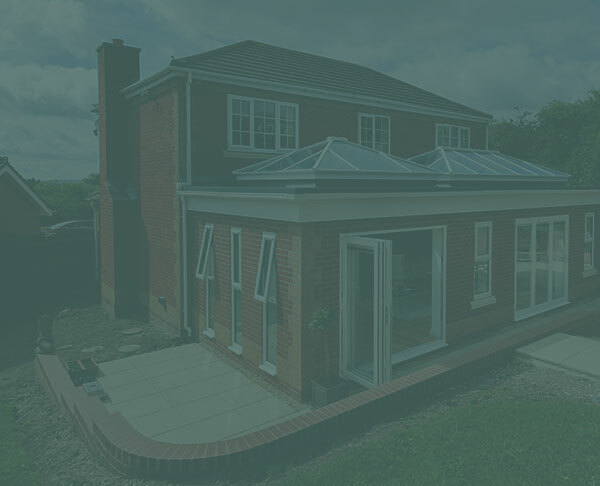 The incredibly strong aluminium creates a highly robust profile, which can withstand prolonged physical attack.This is enhanced by the outstanding locking systems fitted to our doors as standard. 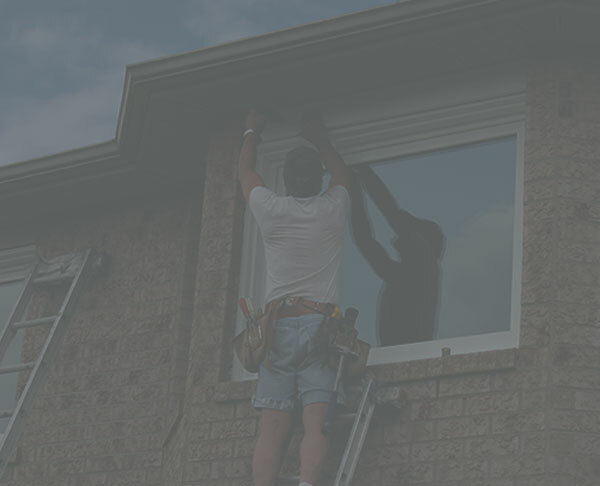 Your security and safety is important to us, so when you choose us for your home improvements, you can count on ultimate protection. 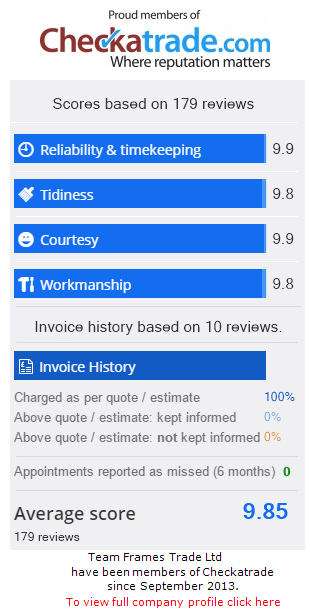 All of this and our doors still offer a low maintenance solution to your home improvements. These spectacular double glazed doors are built to last, and they even come with a ten year manufacturer’s guarantee for your peace of mind. They will never require anything more than a regular clean to remove dirt and debris, and this will keep them in the very best condition, looking fantastic and performing at optimum levels. These doors are designed for excellence from the ground up.